Get to know Wordsmith, our natural language generation platform. Increasing data literacy and empowering your decisions. Learn how NLG turns data into human sounding stories. Explore how our customers use natural language generation. Find out how natural language solutions fit into your business goals. The latest news, trends, and conversations about natural language generation. Our partners help equip the enterprise with custom NLG solutions. Access the latest product news, training resources, demos, and more. 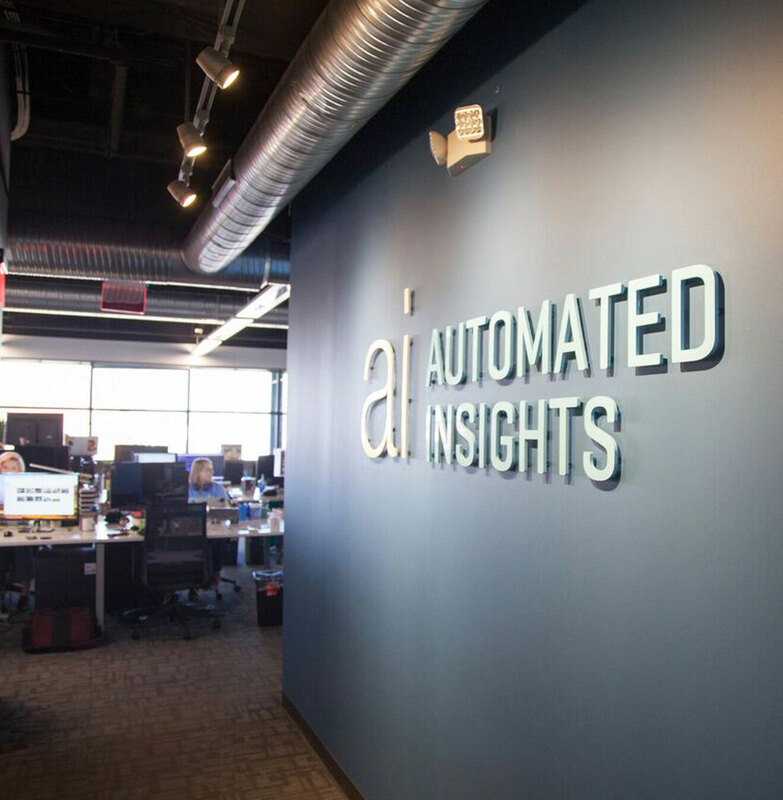 Take the first steps in becoming an official Automated Insights partner. Easily transform your data into better, faster decisions. Our mission is to make the world’s data understandable. There's no such thing as a free lunch - except here! From enhancing business intelligence dashboards and internal performance reports to targeted content on an unprecedented scale, Automated Insights uses clear, natural language to make sense of the world’s data. Get to the center of our core values. 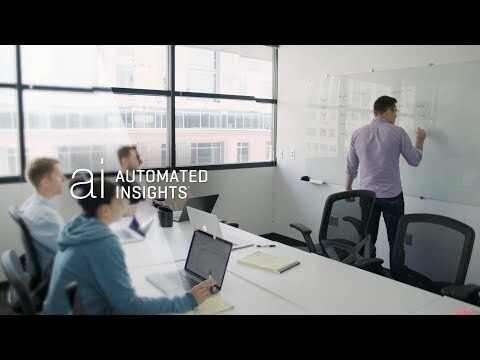 Automated Insights helps organizations improve their communications and make better decisions through the power of data-driven stories. Can you tell which one of these stories was written by a robot? Explore branding materials, photos, videos, and more. Request a personal demo to get started. © 2019 Automated Insights, Inc. Schedule your personal demo and see how Wordsmith makes it easier to communicate, understand, and act on your data. The easiest way to add natural language insights to your Tableau dashboards is just a few clicks away. Download the full report to learn why all enterprise BI deployments will include natural language generation by the end of 2019. This is a test form - do not put this live to the public! Automated Insights uses several industry-standard tools to measure traffic on the website, such as Google Analytics. If you turn these off, your activity, such as the number of pages that you visit, will not be logged. These cookies provide functionality for the website. You can turn them off, but some things may stop working. For example, a cookie is required to remember your cookie settings. These cookies help targeted content to be served,and a deeper understanding to be gained of your preferences. For example, the Marketo cookie helps automated Insights to understand if you submit a form what other actions you have taken on the site.